Winter is settling into the Delmarva Peninsula, bringing in many birds who spend the cold months here. 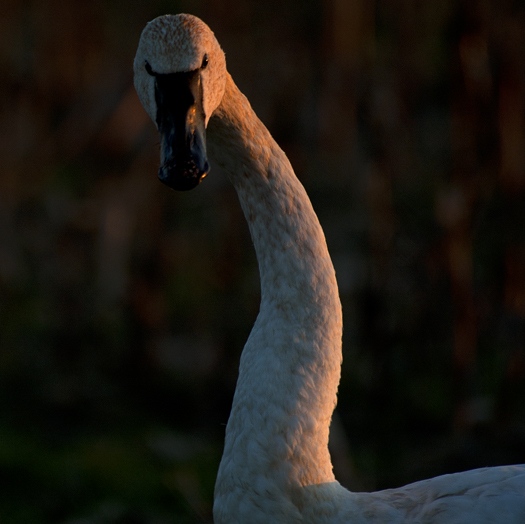 This Tundra Swan was casually turning over harvested corn cobs this afternoon just as the sun set. 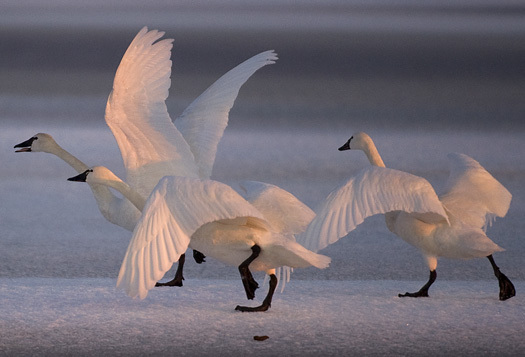 I saw these Tundra Swan at sunrise this morning.